The pomegranate is one of the so-called "super-fruits" because of the multiple properties it has. They have a whole host of powerful properties such as antioxidants, helping to combat ageing, and anti-inflammatory qualities, which help reduce cholesterol levels and prevent cardiovascular diseases. 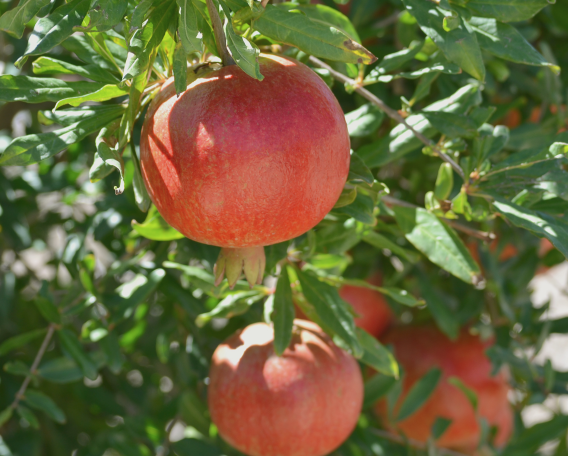 But, in addition, the pomegranate is rich in minerals and vitamins. Vitalgrana pomegranates are grown in Alicante (Spain) and come from our own crops that respect the environment and hold an ecological certification. Natural source of Omega 5, antioxidants, vitamins and minerals. 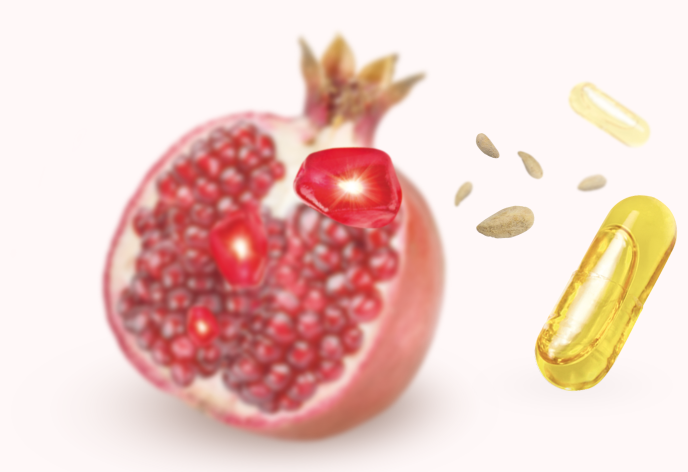 The seeds of the pomegranate are rich in Omega 5 fatty acid, beneficial to combat the ageing of the skin. The grains are rich in proteins and minerals, while the membranes and the peel contain the most polyphenols. All this combines to make Vitalgrana Omega 5 an ideal food supplement for those who want to start to maintain a healthy life and age in a healthy way with the maximum care of their skin. The properties of the pomegranate make it an easy and effortless way to take care of ourselves inside and out. 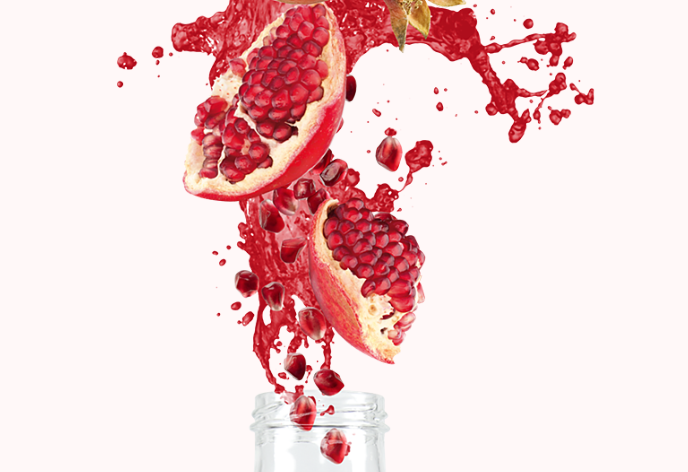 Therefore, at Vitalgrana we work so that you can consume all the benefits of this fruit in a bottle, in the easiest way possible whilst striving to preserve all the compounds that make the pomegranate a super fruit. Both pomegranates and their juice are perfect allies if you want to lose weight as they eliminate accumulated toxins and are a diuretic. Therefore, it is a perfect fruit to fight against fluid retention. In addition, Vitalgrana Omega 5 helps maintain normal blood cholesterol levels and the juice will help you satisfy your appetite with fewer calories. Vitalgrana products are highly recommended as a complement to leading a healthy life that helps us to prevent diseases such as diabetes, obesity, cancer or heart disease. At Vitalgrana we always recommend going to a specialist. Vitalgrana Omega 5 capsules of pomegranate seed oil enriched with Vitamin E antioxidant, help fight free radicals - responsible for cellular ageing and loss of skin elasticity. If you want to take care of yourself, then the pomegranate is your fruit! Want to know more? Vitalgrana juice can be taken regularly as a recovery drink after exercise because of its content of high glycaemic index sugars. Therefore, it promotes the recovery of athletes as demonstrated by the study "Effect of Vitalgrana Pomegranate Juice in the recovery of marathon runners". Want to know more? 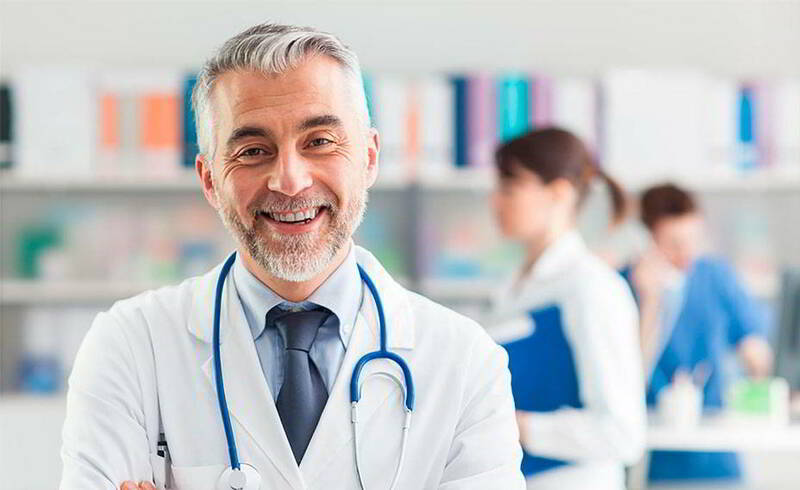 At Vitalgrana the commitment to our clients and their health and well-being is utmost. We want to take care of you and that is why we put at your disposal this space where you can send us all your questions and questions about our products. If you want to know something about the benefits of pomegranates, contraindications or recommendations. Ask us!